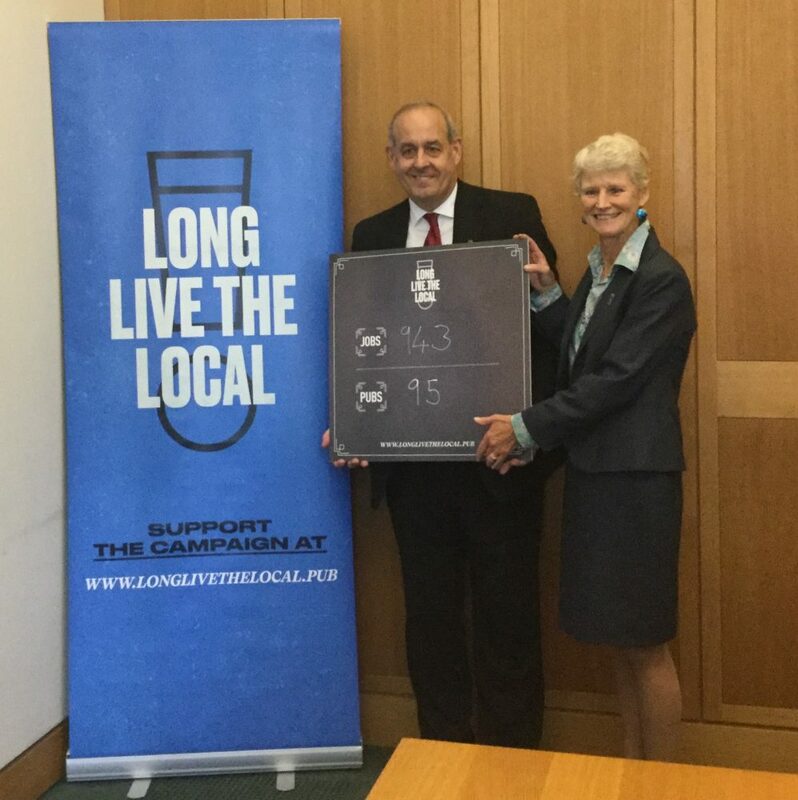 Yesterday I pledged my support for pubs in Delyn when I joined the British Beer and Pub Association in Parliament to learn about the positive impact pubs have on our local economy. During the meeting with Brigid Simmonds OBE, Chief Executive of the British Beer and Pub Association, I was passed an information pack which showed that pubs and breweries in Delyn – of which there are 95 pubs and 4 breweries – support 721 jobs directly and 943 through supply chains. These businesses contribute £19.2m to the local economy and have collective introduced £2.2m in investment in Delyn. In Wales the figures stand at 3,215 pubs; 120 breweries – both securing 41,962 jobs – and bringing in £952.7m to the Welsh economy. Pubs have faced incredibly tough times of late. The dawn of cheap alcohol from supermarkets and people having to work longer hours to earn decent wages has meant that we all have less time to enjoy a drink in the local. Pubs are important community hubs. They ensure that people drink responsibly and have somewhere to meet with friends and family. Without these hubs we would be socially poorer. The figures that I was provided at the meeting also demonstrated the positive economic impact pubs and breweries have on the local economy. We cannot ignore an industry that brings with it £19.2m of revenue and £2.2m of investment. I want to see our pubs thrive and become the envy of Wales. On Tuesday the 3rd of July I joined The All-Party Parliamentary Group on Pubs to celebrate the Launch of the Parliamentary Pub of the Year. This award focuses on celebrating pubs in our community and I will be proposing the pub in Delyn who gets the most support from constituents as the entrant from the Delyn constituency. 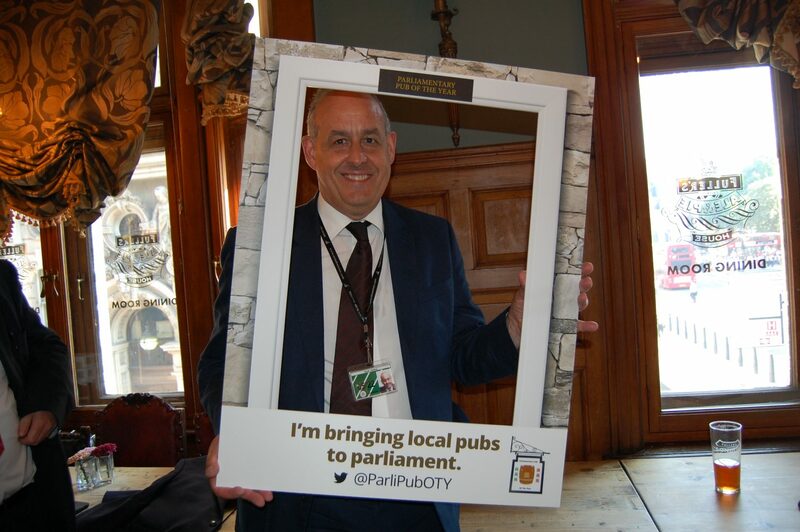 The Parliamentary Pub of the year competition is in its first year and will give 650 MPs the opportunity to nominate a pub to be recognised as the Parliamentary Pub of the Year. 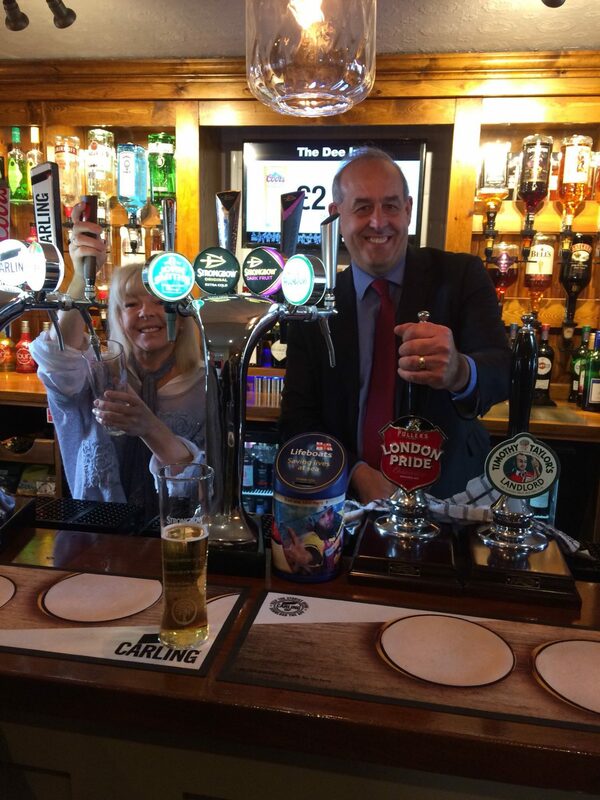 I had the pleasure visiting the newly refurbished Dee Inn, Flint to wish the pub all the best for the future. Last Friday, 06 October 2017, the pub had its official reopening and were expecting hundreds of people to attend for a night of music, food and good local beer.